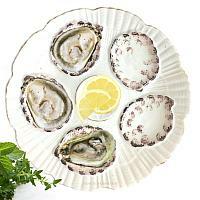 Exquisite Antique Oyster Plate from Carlsbad, Austria, made by Marx & Gutherz, 1876. 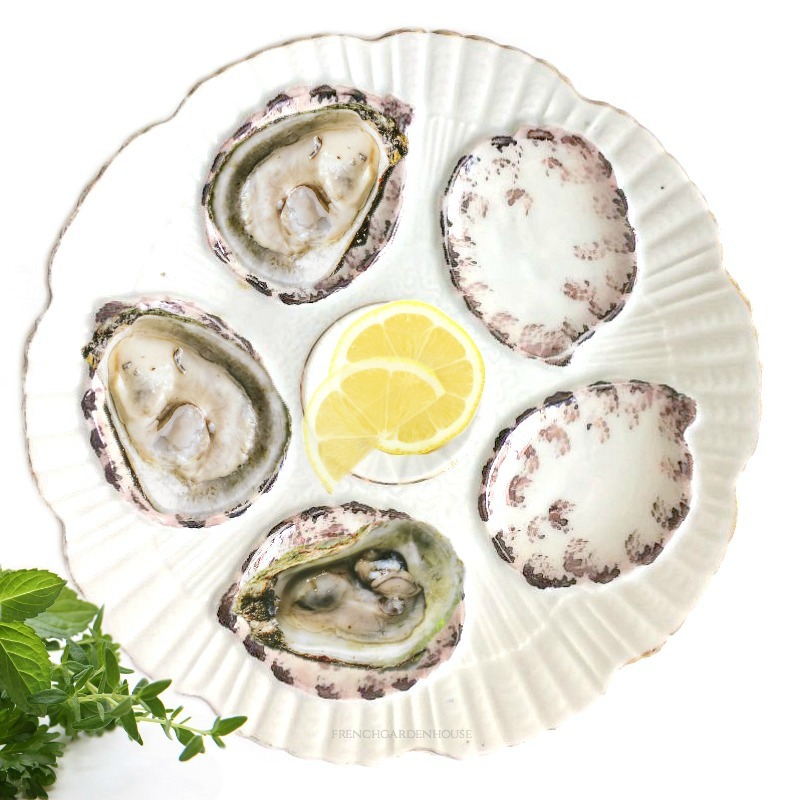 Beautifully made, this collectible plate had five wells for Oysters and a central spiral well for lemon or butter. 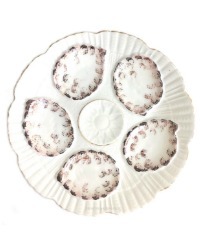 It has wonderfully molded shells and pearls, hand painted in Gilt and sponged Purple luster. Unmarked, but a well-known design by M&G. 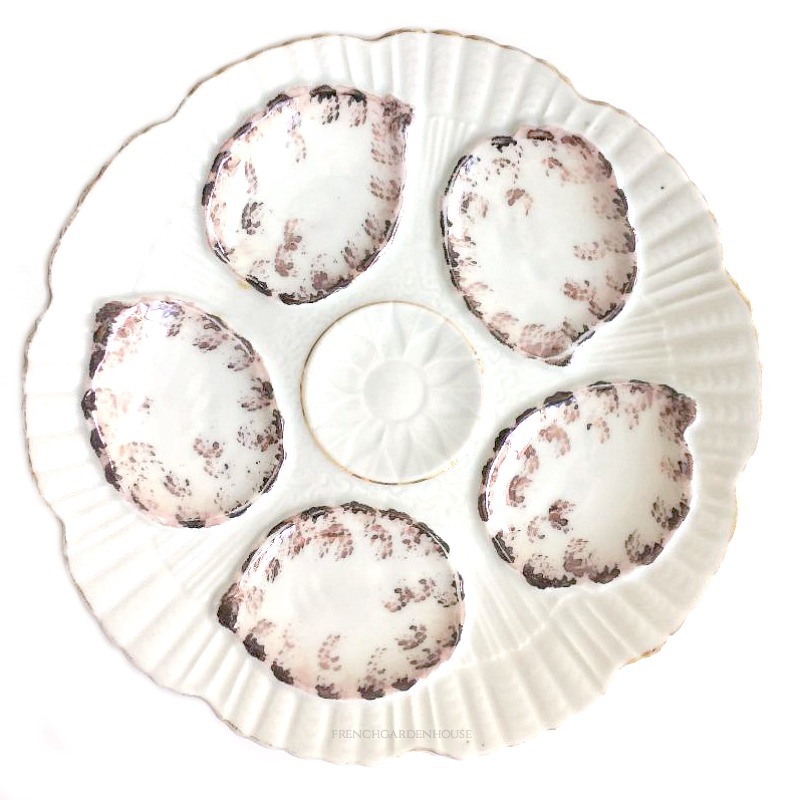 A beautiful investment for your collection, or the beginning of one, this plate has beautiful color, is so decorative and is quite a beauty!